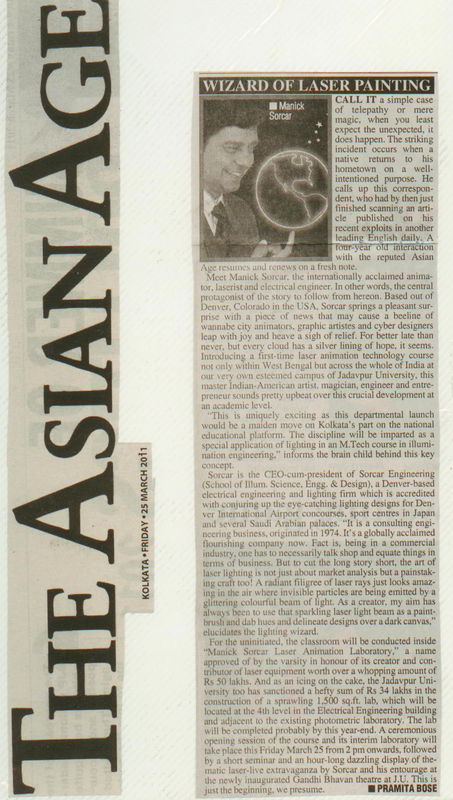 India’s first course on laser animation technology is going to be taught at Jadavpur University, Kolkata, where it is offered as a special application of lighting in an M.Tech course in illumination engineering, soon to be included in graduate and post-graduate courses of illumination and electrical engineering. 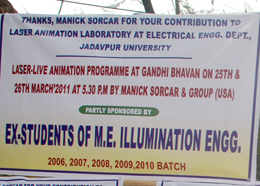 The brainchild behind this unique class is Manick Sorcar, who also helped in setting up the laser laboratory and teaching faculty members of electrical engineering how to use the technology to create laser animation. 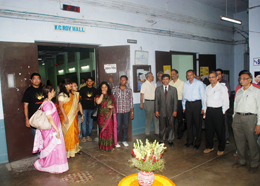 The classroom will be inside “Manick Sorcar Laser Animation Laboratory”, a name formally approved by the university in honor of its creator and contributor of laser equipment worth more than Rs. 50 lacks. 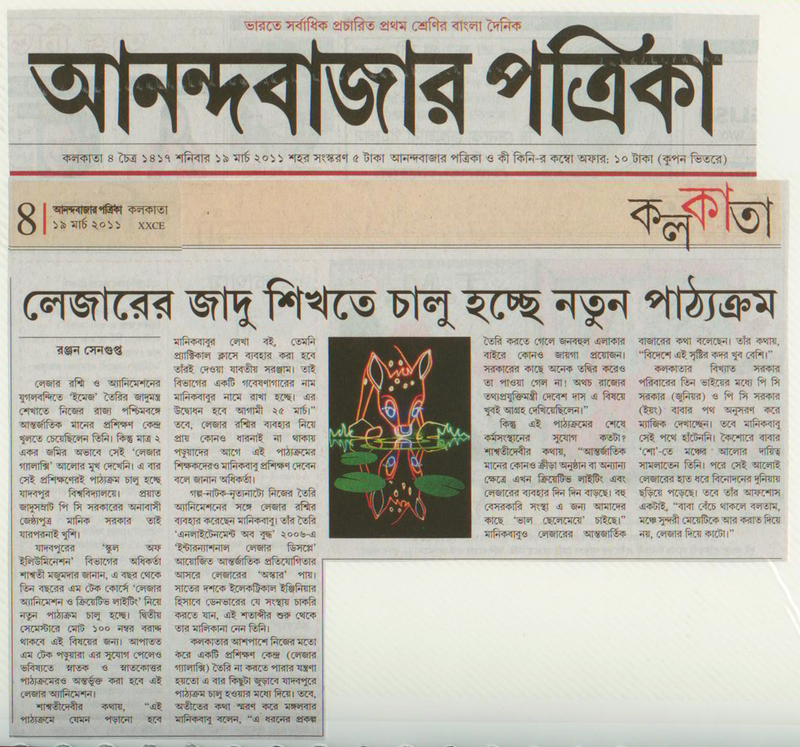 Jadavpur University reciprocated by approving Rs. 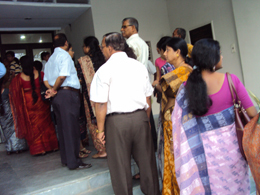 34 lacks in the construction of the 1,500 sq.ft. laboratory, which will be located at the 4th level in the Electrical Engineering building, and adjacent to the existing photometric laboratory, expecting completion towards the end of this year. 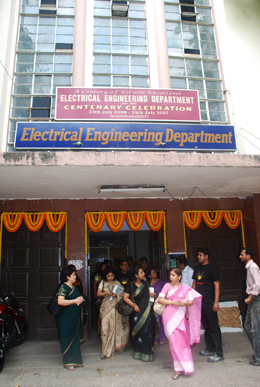 Front entrance of the Electrical Engineering Department building at Jadavpur University. 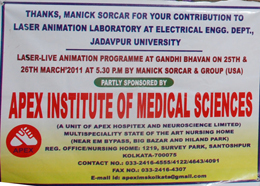 “Manick Sorcar Laser Animation Laboratory” is located on its 4th floor. 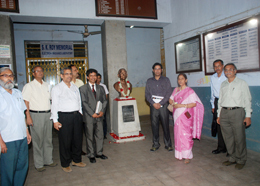 The building entry, vestibules, and the laboratory entrance were decorated with flowers to celebrate the historic event. 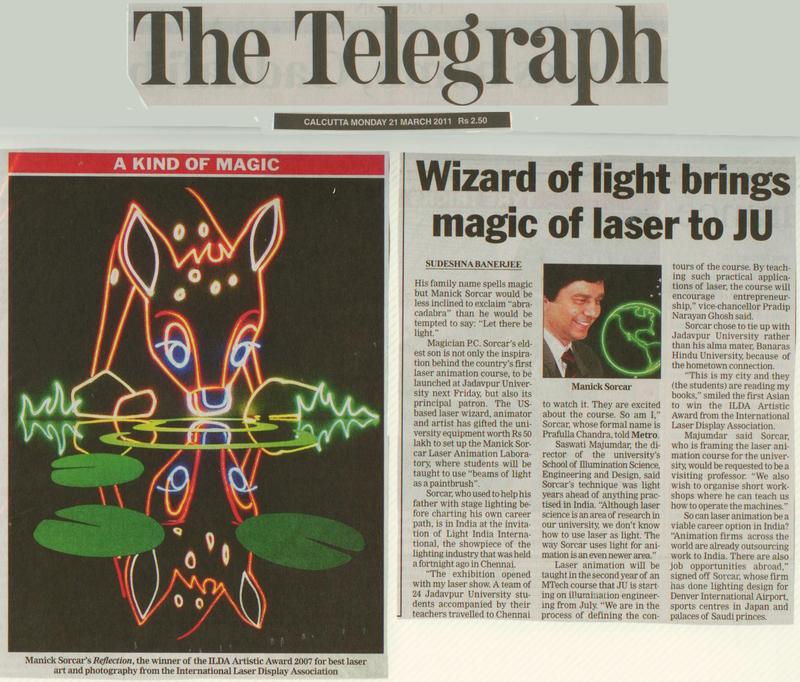 Jadavpur University set a record being the very first university in India offering an education course on laser animation towards an academic degree. 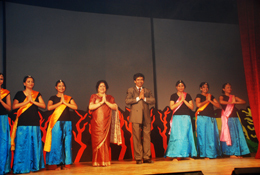 The well-organized inaugural event was a two-day ceremony. 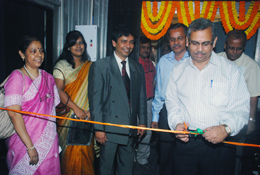 Amidst press reporters and television cameras, on March 25, 2 pm, ribbon for the interim laboratory was cut by Prof. S. Dutta, the Pro-Vice Chancellor of JU, and the laser switch was started by Prof. A. K. Chakraborty, M. 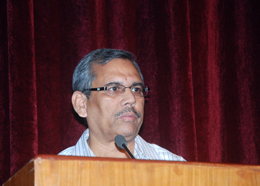 Tech., Outstanding Scientist – DRDO, and Assoc. 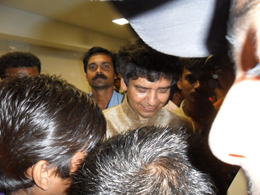 Director, DRDL, Hyderabad. 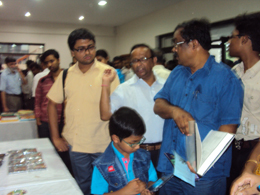 Other guests present were Prof. N. Chakraborti, Dean of JU, Prof. A Mukherjee, Head of Electrical Engineering Dept., JU, Prof. Saswati Mazumdar, Director of School of Illumination Science, Engineering and Design, and many more. 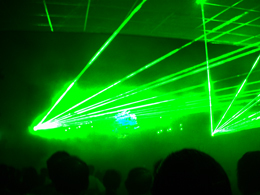 A two-minute laser show on the historical event was displayed on a screen inside the laboratory, taking pride on the fact this was the first time ever a laser animation course was going to be taught inside a university. of the Electrical Engineering building. 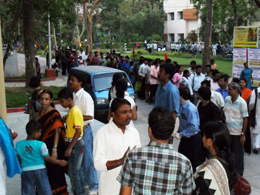 At 4 pm, the celebration moved from the laboratory to Gandhi Bhavan, the newly constructed, ultra-modern theater of the campus, where inaugural program speeches were given by HOD, EE Dept., Chairman’s address by V.C. 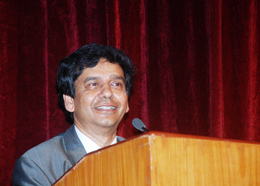 of J.U., and Pro-VC, J.U. 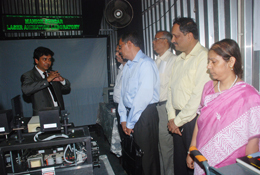 It then followed by a seminar on “Laser Technology and Its Application”, the speakers were Prof. Ajay Ghosh of Calcutta University, and Manick Sorcar of Sorcar Engineering, Inc., USA and the inspiration behind the laser animation course. 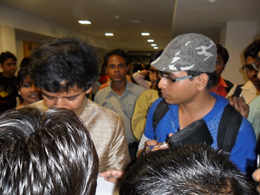 “As a laserist, a world of possibilities are at the users’ footsteps”, said Manick Sorcar, “This cutting edge-technology can be used for digital artistry, animation, live shows, magic shows, and large-scale theatrical effects, theme parks, planetariums, museums, and architectural applications etc., opening up new, exciting career opportunities – limited only by imagination. 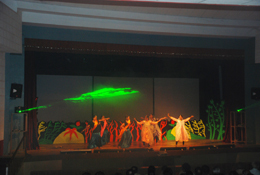 What you experience in my show is only a small example; our students will now take it to infinity”, said Manick. 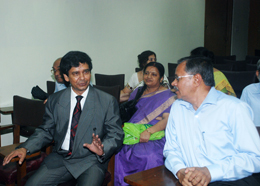 On the second day (March 26, 2011), the program continued with an inaugural address by Prof. N. Chakraborty, Dean, FET, and J.U, soon followed by another seminar on “Advances in Laser Research & Application”. 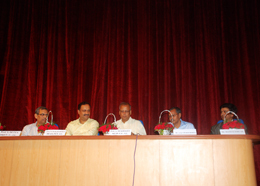 The speakers were Dr. Biswajit Roy, Calcutta University, Dr. Radhaballav Debnath of J.U., and Manick Sorcar. 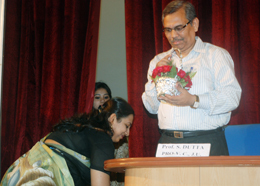 The Vote of Thanks was given by Prof. Saswati Mazumdar, Director, School of Illumination Science, Engineering & Design. 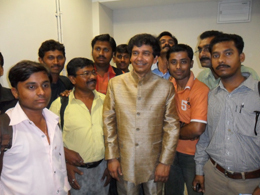 After a short break, at 5:30 pm, “Laser-Live-Animation Extravaganza by Manick Sorcar and Group” thrilled the audience one more time in an over-pact Gandhi Bhavan. 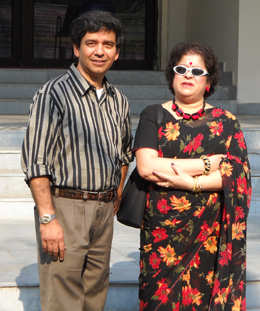 by Sorcar for their class texts. 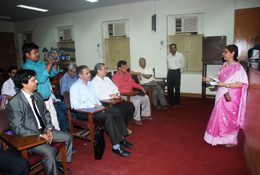 "Laser Wizard Ligts Up India"
“An educational course on laser magic takes place (at Jadavpur University)….